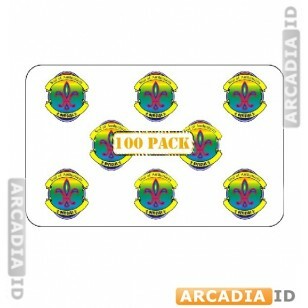 Get packs of 100 overlays for your ID cards that will add a holographic eagle only when exposed to UV light. This makes it almost impossible for illegal copies to be made and always impresses visitors. Don't see what you want? Contact us anytime for more information. Fast delivery on every order.